It is a great honor to be asked to take photos of one of my favorite annual events, the Sussex County (Delaware) Master Gardener Open House. Their beautiful demonstration garden just happens to be located directly in back of my office and I even have a window so I can look out! The garden has many interesting niches and surprising little things peeking out of corners and unusual places. The demonstration garden is actually open all year long, and the public is welcome to stroll through the clearly marked plantings any time of the day, but a few times a year, the Master Gardeners have planned events, which allow the public to not only tour the garden, but have informal, friendly chats with Master Gardeners. Like most gardeners I know, the Master Gardeners are a generous and humble lot. This is their passion and they love to share it. Not everyone is an expert in everything. Each Master Gardener brings his or her own talent to the table…or raised bed. 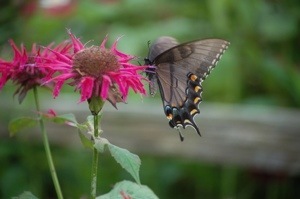 Some are into veggies, others native Delware plants, children’s gardens, hostas, hydrangeas, garden photography. You name it! We have someone who knows their garden subject matter. Together, it all homogenizes into a poetry of color, nutrition, affection for all things fora and fauna. 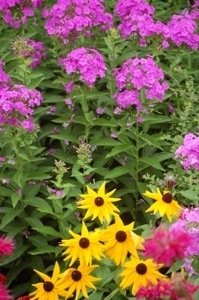 In Delaware, Master Gardeners are selected, trained and supported by Delaware Cooperative Extension through the University of Delaware and Delaware State University. Delaware has a lot to be proud of with these tireless and talented volunteers. What a treasure we have! Here’s a photo set of pictures taken today at their premiere annual event.